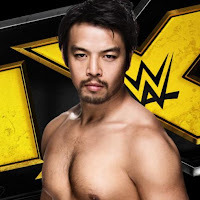 - Hideo Itami made his WWE 205 Live debut last night with a win over Colin Delaney. Above is post-match video of Itami talking to Kayla Braxton backstage. Itami says he's excited and it took a long time to get to the main roster but he made it. Itami says he came for just one reason - to be the WWE Cruiserweight Champion.